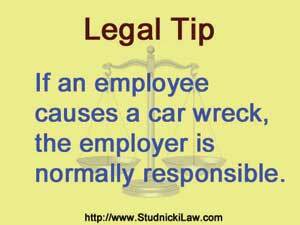 < #FreeLegalTip: If an employee causes a car wreck, the employer is normally responsible. We serve clients throughout all of Arizona, including Phoenix, Scottsdale, Mesa, Chandler, Tempe, Glendale, Tucson, Gilbert, Surprise, Peoria, Goodyear, Flagstaff, Prescott, Yuma, Cave Creek, Carefree, Avondale, Apache Junction, Sedona, Maricopa County, Pima County, Pinal County, Yavapai County, Mohave County, Yuma County. 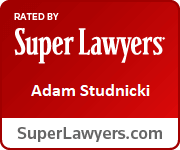 To contact Studnicki Law Firm, call 602-845-9090 or 480-361-2442 or fill out the Contact Form. This website is for informational purposes only. It does not offer any legal, financial, business, tax or medical advice. 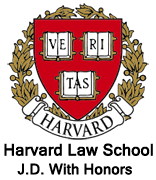 by any method, does not create an attorney-client relationship or cause those communications to be confidential. 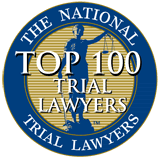 Studnicki Law Firm may associate with other lawyers on certain matters. 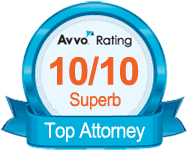 Using this website does not create an attorney-client relationship. Copyright © 2003 . Studnicki Law Firm, P.C. All rights reserved.